Elizabeth Kilgore pleaded not guilty to first-degree murder. 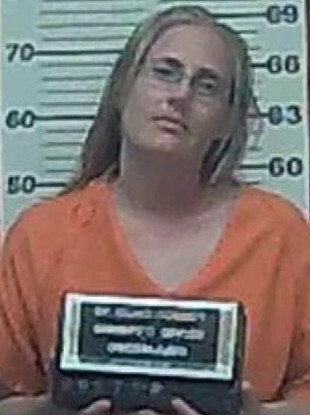 A mugshot of Elizabeth Kilgore supplied by the St. Clair Missouri County Sheriff's Office. Elizabeth Kilgore, 35, of Quincy, pleaded not guilty last week to first-degree murder in the death of Lance Kilgore. A Missouri State Highway Patrol sergeant wrote in charging documents that 77-year-old Charles Sander killed his son-in-law and himself in September. The shooting occurred during what was supposed to be a custody exchange of the couple’s 2-year-old son at a convenience store in Osceola, which is about 145 kilometers southeast of Kansas City. The sergeant said the child was the focus of a contentious divorce that was nearly finalised. A witness who was attempting to mediate the separation said Elizabeth Kilgore described hanging a picture of her estranged husband on a tree and said it felt “good” to shoot it. Another witness reported Elizabeth Kilgore said that if Lance Kilgore tried to take her baby away, she would kill him. I’ll let him, but I’d hate to see one of my parents go to jail. Charles Sander, a convicted criminal with an extensive history of drug-related arrests, was in poor health and had been taking what the sergeant described as a “farewell tour” in which he was contacting family members and other to restore broken relationships. The sergeant wrote that Elizabeth Kilgore blamed her father for her brother’s suicide. Charging documents describe Charles Sander as being “terminal,” but no details are provided on his illness. One witness said that the day before the shooting, he offered Elizabeth Kilgore his assistance if she wanted to run and hide with her son. The sergeant wrote that Elizabeth Kilgore told the witness she “had it taken care of” and that the witness should stop calling. Email “US woman accused of persuading her terminally ill father to kill her husband in murder-suicide”. Feedback on “US woman accused of persuading her terminally ill father to kill her husband in murder-suicide”.